According to research done by Bain & Company, 15% of an organization’s collective time is spent in meetings. Meetings are essential for collaboration and quickly making critical decisions, yet many meetings are unproductive, and less about collaboration and decision making and more about status updates. How many times have you walked out of a meeting and realized that no decisions were made, no action steps planned, and really, nothing was accomplished? 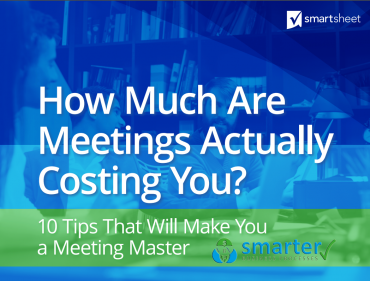 Unfortunately, this is reality for most professionals without knowing the true cost of ineffective meetings. Planning for 2015 - Are you using the latest Tools?